In short, hitters liked the light swing, loud sound and trusted name of the 2019 Velo. A few did not like the hand sting and smaller barrel size. We’d recommend the bat to those who want a traditional feeling stiff bat with a light swing and a loud sound. Jump to the full review. We aren’t the only ones to have information about the Velo. Other places, in particular those who sell bats, usually have a boiler plate write up on the specs of a bat. Many of those we reference to make sure we are seeing what we should be. Here are some more references for the 2019 Rawlings Velo review. In short, hitters liked the light swing, loud sound and trusted name of the 2019 Velo. A few did not like the hand sting and smaller barrel size. We’d recommend the bat to those who want a traditional feeling stiff bat with a light swing and a loud sound. Exit speeds looked good but the bat lacked the swing weight to be considered a fireball. But, it swings well and a good hitter can make this work fine. On the whole, we recommend the bat for those looking for a single piece aluminum bat with a light swing. The BBCOR versions as well as the lower drops (like 5) felt between decent and good even on mishit balls. The lighter swinging bats (like the drop 10 USA) definitely delivered some hand sting on mishit balls–especially if the swing speed and pitch speed was fast. We think the BBCOR Velo the best of the bunch. The price point is right where a lot of parents are willing to pay. Several hitters like the stiff feel and the light swing. This is a perfect BBCOR bat for those in the middle to the end of the lineup who’d like to add some power to their swing that needs as much speed as possible. The stiff bat will deliver a good pop if you can square one up. The drop 3 nature of the bat will make most hits feel decent. A highly recommended entry level BBCOR bat. The drop 5 and drop 10 USA Velo are recommendable but, you should note, their swing weights are HEAVY. They swing 10% heavier than the lighter bats in the drop 10 space like the Rawlings Quatro or CF Zen. We liked the feel of the drop 5 more than the drop 10 but that’s because we are pretty sensitive (in cold weather) to hand sting. In 2018 there was a late release drop 11 and we struggled to like it. It was just too light, but we haven’t seen the drop 11 in 2019 yet. Possibly later in the season? The USSSA Velo is likely the least exciting. It feels real basic and tends to lack considerable pop that you’d hope for in the USSSA space. That said, we really liked the drop 5. Those hitters looking for a big boy’s bat but still play in leagues that allow USSSA 1.15 BPF bats might really get a kick out of the drop 5 Velo. The drop 10 leaves room to be desired. With the exception of the stock grip, there are virtually no changes in the 2019 Velo when compared to the 2018 version. Many would say that is a good thing. 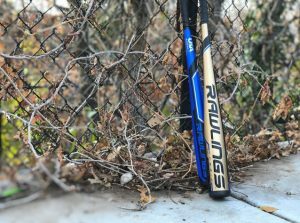 They liked the light swing, durable nature and loud ping of the trusty Rawlings. That said, you'd do well to look for the 2018 version of the bat. In the last two weeks, we've spent at least 2 hours reading player reviews, company literature and vendor takes on the new 2017 Rawlings VELO. The single piece aluminum bat space is replete with options. We like bats like Easton’s Beast series as well as DeMarini’s one. Don’t forget either about Slugger’s 619 Solo or their 518 Omaha. In terms of a real comparable bat (by way of construction) the 619 Solo is the most alike. It has a single piece aluminum structure with an extended composite end cap and, like the 2019 Velo, comes in a number of sizing and league options. Some would argue the Velo is a lot like the Marucci CAT 8. They both use variable wall thickness but it’s hard to say these bats are too similar in terms of feel and barrel size. Where, we think, the CAT 8 shines. We have now spent considerable time both in the cage and during games with the 2018 DeMarini Voodoo One balanced. The 2018 Easton Beast X is the progeny of the 2017 Easton Z-Core line of bats. Put on a plastic end cap that goes well into the barrel of the bat to bring down the weight. Change the thickness of the barrel walls as to extend its profile and increase trampoline effect closer to the end cap and knob. Produce the main portion of the bat in a single piece of high grade aluminum. What is likely the most attractive feature of the 2019 Velo is the bat’s size offering. You name it and the 2019 Velo, just about, comes in that size. The BBCOR lengths come in a 30 through 34. USA versions of the bat come in a number of lengths in both a drop 10 and drop 5. Big Barrel also has a drop 5 and drop 10 in a number of lengths as well.